April 1st I will be a part of Allied Arts' Artini event again! This will be my 3rd year participating! Hooray! If you are not familiar with Allied Arts, they are an organization (formed in 1971) that raises money for arts organizations in Oklahoma under its umbrella, including theatres, museums, Shakespeare in the Park, the OKC Ballet and Philharmonic, and many more.... each year they have campaigns at large donor levels and individual levels and Artini is just one social fundraiser they put together in the form of a themed martini-tasting event with music, food and of course, a fine art auction! 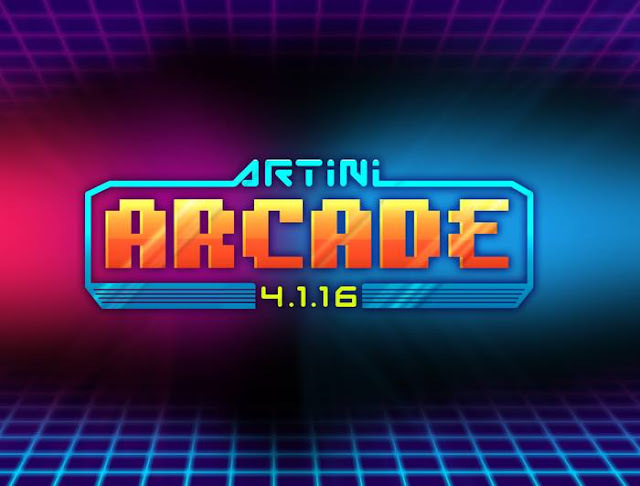 This year the theme is Artini Arcade... so one can expect art for the video game fan or the pixel art fan or the lover of 80s nostalgia. I dropped off my small format acrylic on wood painting "Lost Level" last week (inspired by 8- and 16-bit Nintendo and Super Mario bros games) for the auction. This is going to be lots of fun!! For updates check out my Facebook or Instagram.